I saw him play at the Iridium just over a month ago with Grachan Moncur, and he was tremendous -- fleet, witty, supportive, and fully engaged with the music... he unleashed a completely unexpected but absolutely killing Cecil-esque torrent on Grachan's "Hipnosis" that had everyone in the place (band included) looking at him, stunned, their faces telegraphing "we didn't know you could do that!" It was the first time I'd seen Hicks play live, and even as I walked out the door I was already looking forward to the next time. I don't outright disagree with the Bad Plus assessment that Hicks was never heard to full advantage on record. But this particular disc -- the "with strings" session that concluded Blythe's Columbia label stint, and a major-label release so obscure that Gary Giddins, a major Blythe booster, once confessed in the Village Voice that he'd never heard it -- has long been a favorite of mine. The session was likely a pressure point in Blythe's Columbia tenure, but the saxophonist has rarely sounded so completely alive and impassioned on disc since then. The version of his yearning composition "Faceless Woman" here was never bettered, before or since. 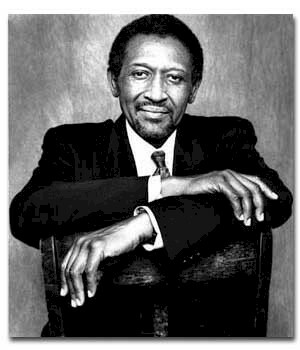 And Hicks's contribution to the track is right there on the leader's level; the strings offer a smoothed-out version of the countermelodies and harmonies that might once have been provided by guitarist James Blood Ulmer and cellist Abdul Wadud, while the rhythm section of Anthony Cox and Bobby Battle keeps things at a boil. The result is one of my most cherished recordings -- and sadly, it's out of print. Thanks Landon -- I would have missed Armen's post otherwise (his blog doesn't have an RSS feed so it doesn't get indexed). Thanks for the link. I'm going to update my most recent post about John Hicks with a link back here, as you've done such a fine job rounding up the coverage of his passing. Despite his having moved away in the 1960s, John still had many fans and friends in St. Louis, and it was a real pleasure to hear him play whenever he came to town. He will be missed. Thanks for the tip, Dean -- I updated the post.